Cumaná ([kumaˈna]) is the capital of Venezuela's Sucre State. It is located 402 kilometres (250 mi) east of Caracas. 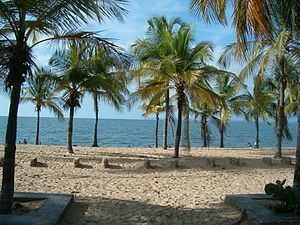 Cumaná was one of the first settlements founded by Europeans in mainland America and is the oldest continuously-inhabited, European-established settlement in the continent. 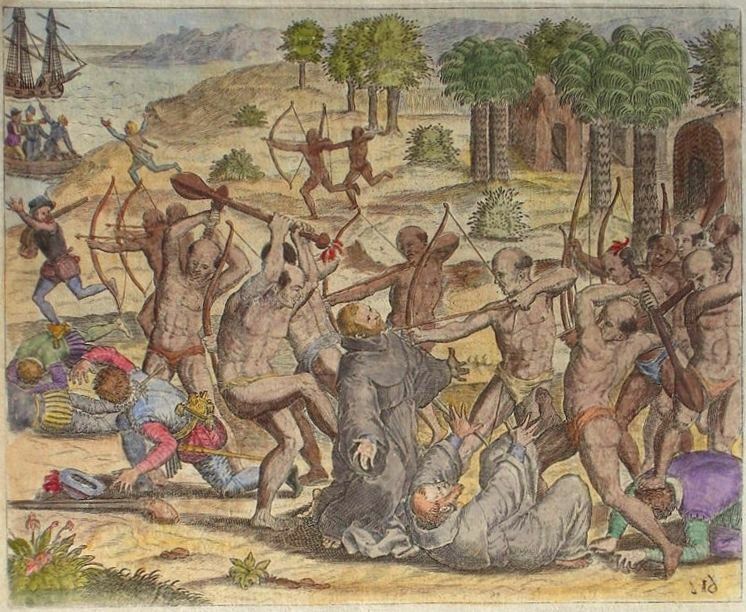 Attacks by indigenous peoples meant it had to be refounded several times. The municipality of Sucre, which includes Cumaná, had a population of 358,919 at the 2011 Census; the latest estimate (as at mid 2016) is 423,546. The city, located at the mouth of the Manzanares River on the Caribbean coast in the Northeast coast of Venezuela, is home to one of five campuses of the Universidad de Oriente and a busy maritime port, home of one of the largest tuna fleets in Venezuela. The city is close to Mochima National Park a popular tourist beaches destination amongst Venezuelans. The city of Cumaná saw the birth of key heroes of and contributors to the Venezuelan independence movement: Antonio Jose de Sucre, the ‘Gran Mariscal de Ayacucho’, a leading general and President of Bolivia; as well as Brigadier General D. Juan Francisco Echeto. Cumaná is also the birthplace to eminent poets, writers and politicians like Andrés Eloy Blanco, an important figure in Latin-American literature and who later rose to the national political scene; as well as José Antonio Ramos Sucre, another distinguished poet and diplomat. Important scientists including Pehr Löefling from Sweden, Alexander von Humboldt from Germany and Aimé Bonpland from France did part of their experimental works and discoveries when visiting and living in Cumaná in the XVIII century. The city is also home to a Toyota plant, which manufactures the Hilux and Toyota Fortuner.